It's Summer in the Mountains Until The First Flake Flies - Ski. Play. Live. The snow’s coming. Less than 100 days. The colors are about to turn so it’s your last hurrah to jump in a mountain lake, hike high peaks with the pooch, cycle amid the wildflowers. 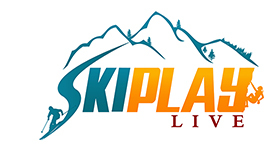 Don’t think skiing just yet (except to purchase your season pass). Boarding, snowshoeing and sledding, they can wait. There’s still more toe torturing hikes, skin tearing mountainbiking, and even birdwatching to be had. Solitude has extended their summer operations through September 27. Get up Big Cottonwood for mountain biking, hiking, scenic chairlift rides, mountain scooters and disc golf. The Village Adventure Center is open daily through September 7, 2015, then open Friday, Saturday, Sunday only though September 27, 2015. Lift-served gentle singletrack, hiking and scenic rides are offered on the Sunrise chairlift on Fridays, Saturdays and Sundays through September 13, 2015. After you’ve worked up an appetite, grab pizza or ice cream at the Stone Haus or lunch, dinner and brunch at The Honeycomb Grill, Wednesday through Sunday Brunch. SSHHH. 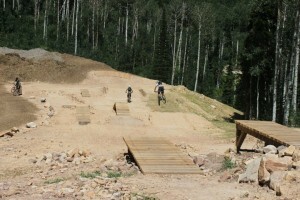 Snowbasin Resort has some of the best mountain biking in the state for whimpy riders like me. 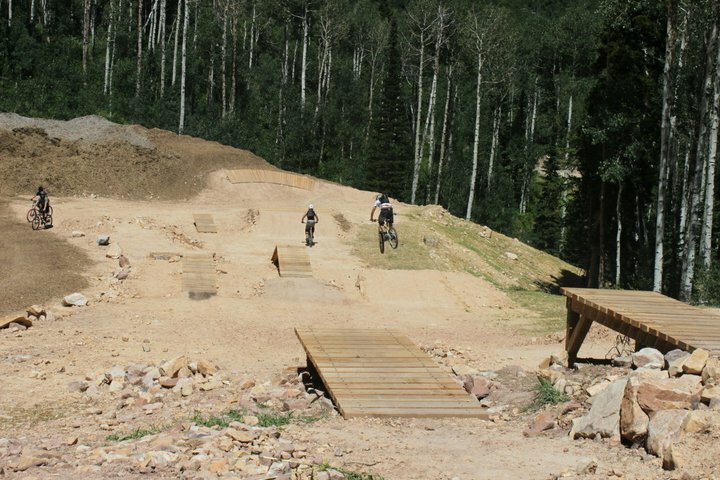 While everyone’s out ripping Twist and Shout at Deer Valley you can take the weekend to play on 26 miles of (relatively) uncrowded single track that connect to 50 miles of additional Forest Service trails. There are also three designated hikers-only trails that lead to the crest of the ridge. Dogs are allowed on the gondola, but not in lodges or anywhere food is being served. The trails are open through October 4 but the gondola only runs on weekends. Check out Needle Lodge for brunch or lunch, free guided tours, Frisbee Golf on a 9-hole course. Little ones will love the adventure playground, practice bike loop, spider bungee jump, and climbing wall. Strider push bikes are available for rent. There’s also the free outdoor Blues, Brews & BBQ concert series every Sunday with both national and regional artists. Snow cones and dream-worthy fresh fruit-muddled lemonades are served alongside your favorite BBQ items and local Utah craft beers. One of my favorite things to do in the summer at Alta is brunch at the Alta Lodge then walk it off among the wildflowers in Albion Basin. Bring your climbing gear for excellent routes off the Cecret Lake Trail with gorgeous views of the Wasatch from the shady bolted routes. Snowbird‘s summer activities are just as extreme as their winter ones. This place is not for wussies. The mountain biking is legitimately black-diamond level whether you ride off of Hidden Peak on Chips Run or take one of the seven miles of singletrack on the lower mountain. The more intermediate-level Big Moutain Trail is closed for construction. More ‘girlish’ proclivities will appreciate the Aerial Tram and Peruvian scenic rides to stunning views and close-up wildlife sightings atop Hidden Peak. Take a walk through the Peruvian tunnel to Mineral Basin and miles of hiking and wildflowers. Little ones can’t ride the Purvian lift but they won’t mind staying on the Plaza for the Alpine Slide, Mountain Coaster, Mountain Flyer seated zipline, and the new Vertical Drop which involves 9 feet of freefall followed by a gradual auto-belay down to the ground, Climbing Wall, Bungee Trampolines and Ropes Course. Children can pan for gemstones in the Wasatch Mining Co. sluice or fish in the Austin Pond (with paid license). Oktoberfest is Saturday and Sunday through October 12 where you can sip over 54 different types of beer including German imports not normally found in Utah. There’s Lederhosen, yodelers, bratwurst with sauerkraut, face painting and music stages too. Speaking of music, Deer Valley‘s 2015 summer concert series at the resort’s Snow Park Outdoor Amphitheater closes out their season on September 6 with Aloe Blacc brought to you by the Park City Institute’s St. Regis Big Stars, Bright Nights Outdoor Concert Series. Mountain biking lasts a little longer. Summer mountain biking goes to weekends only after Labor Day and shuts down completely on September 20. After hours riding the nearly 70 miles of world-class lift-served single-track, make sure you toast the sunset on the deck of Royal Street Cafe with a blueberry mojito. Lift-served mountain biking and hiking runs through October 18 at Park City Mountain Resort. The best access is from the Crescent Hi-Speed Quad which will get you to the top of Crescent Ridge in minutes. PayDay Lift will run when Crescent Lift doesn’t. The mountain is open daily for more than 70 miles of trails. 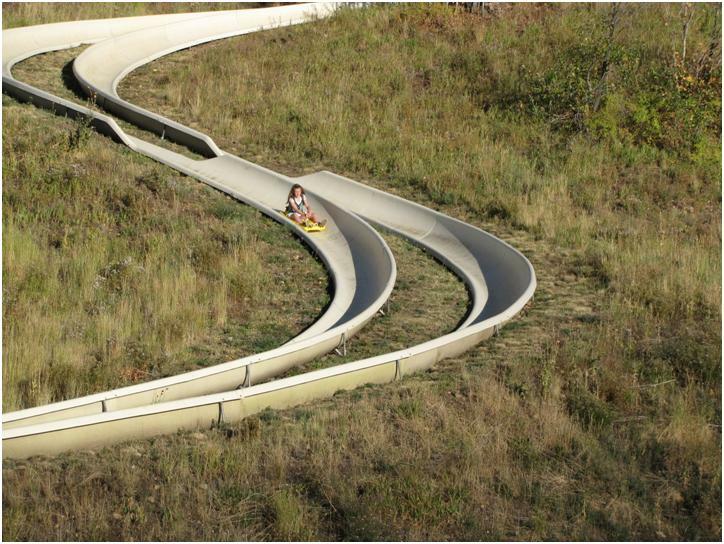 For less strenuous but no less heart-pounding adventure you MUST ride Utah’s longest alpine coaster, one of the world’s longest alpine slides (and rowdiest if you take the concrete track instead of the fiberglass ones). The ZipRider Zip Line is a hoot too. Kid-friendly activities include the Spider Slide, Climbing Web, boulders and climbing wall in the Adventure Zone, and the Legacy Launcher trampolines. Little Miners Park’s merry-go-round, airplane ride and mini-train cater to the resort’s youngest guests. You can’t beat the apps and French onion soup at Legends Bar and Grill, located in the resort plaza or the live music on the patio at the Corner Store. Canyons Village at Park City aka Canyons Resort has the absolutely best biking for freestylers accessed by riding the gondola, then High Meadow and Short Cut chairlifts. The Bike Park includes two skills parks and four skill-level trails with rollers, berms, jumps, steep grades, drops and tight switchbacks. Bikers of all levels can skip the park and ride over 20 miles of cross-country trails throughout the resort. You’ll have until September 27. For a hefty $50 you can take the best zipline ride in Utah between Lookout Peak and Red Pine Lodge spanning over 2,111 feet. Disc golf is a little cheaper (even free if you have your own discs and a season pass) and so is the fishing and pedal boats in the pond under the Orange Bubble Express. There’s one Saturday concert left for this season September 6 so pack your own picnic and brings the kiddos. They can play mini golf while you relax. The Wednesday afternoon Farmers Markets in the Cabriolet parking lot continues through October 28. Sundance Resort has their annual Harvest Market September 26. Over 30 local artists and craftsmen as well as several will be selling everything from jewelry and pottery to wooden canoes and lotions. There’s also live Bluegrass/Americana music and an array of delicious Sundance foods all set against the splendorous backdrop of Mt. Timpanogos. On any other summer day you can bike or hike more than 25 miles of trails, get a soothing massage in The Spa at Sundance, or take a hands-on workshop in jewelry making, wheel-thrown pottery, watercolor or oil painting, printmaking, photography and charcoal and pencil drawing in the art barn. At days’s end listen to unsung artists at the Friday night Bluebird Café Singer/Songwriter concert series. Pingback: Hops on the Hill 2017 At Stein Eriksen Lodge - Ski. Play. Live.